Remember that nervous breakdown I was sure would happen before the end of exam period? It might be here. You know how I know? Because last night I dreamed that I had purchased a small herd of micro piglets along with some other small animal and given them free reign of my living room. But I decided to return the piglets to the farm when I realized that I had had them for a while and had not been taking them outside to the bathroom so they must have been going under my couch. Because the real problem with that scenario is their bathroom habits and not, you know, keeping a small herd of piglets in my apartment. Having awakened from the crazy parallel universe in which I purchased a whole bunch of pet piglets, I made myself a light breakfast and headed out for a run. 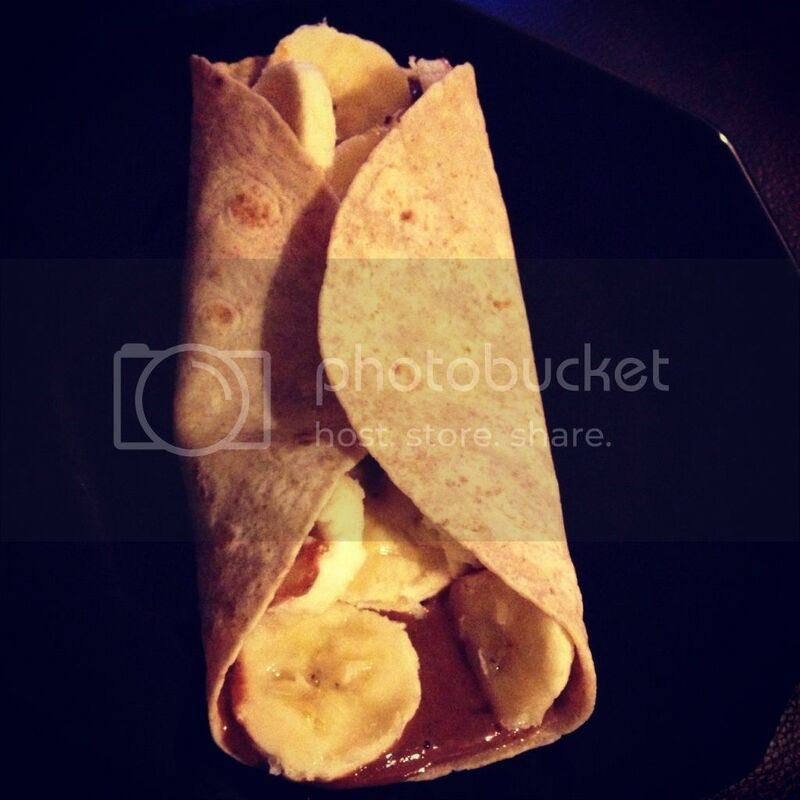 Low Carb Whole Wheat Wrap with sliced banana and Chocolate PB2. It was a tough one, both mentally and physically and I blame it on shark week. I learned last month that "shark week" is a slang term for your period. I kept seeing other female running bloggers referring to shark week and while their context clues suggested they were referring to the monthly menstrual mayhem, I looked it up on Urban Dictionary to make sure. They defined shark week as: "The week during which a woman has her period. There will be blood, an uncomfortable sense of tension and a bad tempered, unpredictable beast." Sounds about right. Now that things have gone and gotten awkward up in this joint, let's talk more about running. 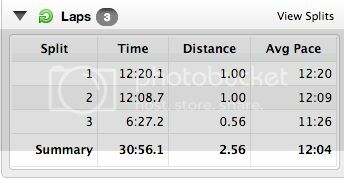 A few weeks ago I optimistically mapped out a 4 mile route when I started a 10k training program. Unfortunately, I got sick and had to take a two week break from workouts while I recuperated. 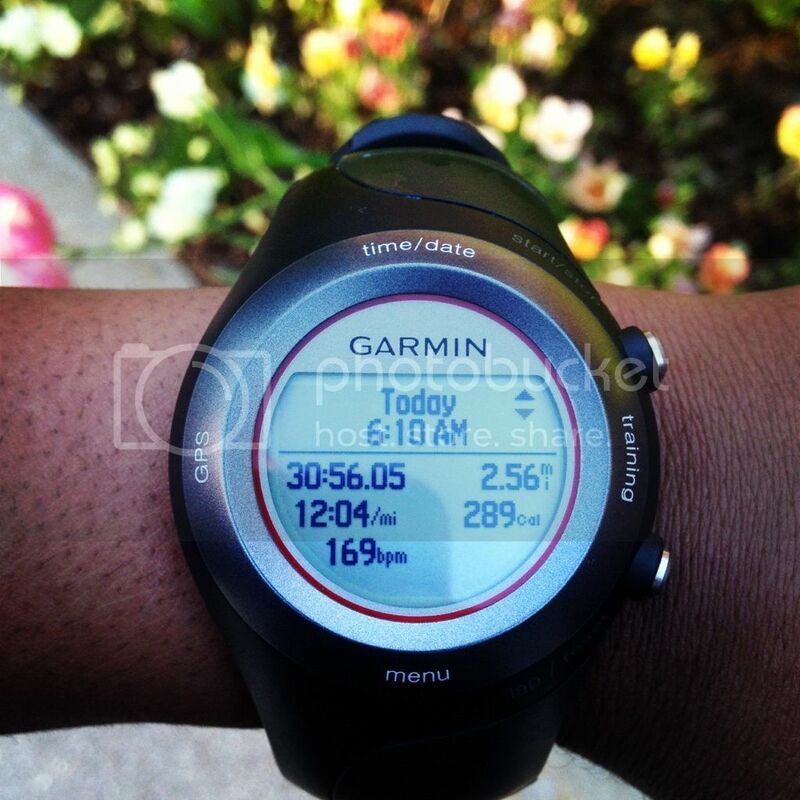 I have been trying to build my way up to running the whole route since I got better. It is super hilly, but at least once a week I take that route and try to go farther than I did the week before. On my first run back after getting sick, I made it 1.66 miles before I got a horrible side cramp. Today I made it 2.56 miles before I felt exhausted and decided to head home. I felt defeated for not going a little further to make it 3 miles, but between shark week, exams, and coming back from an illness, my body just couldn't do it today. Once I got back home I did a few chores around the house and tucked into a post workout snack of chips and salsa. 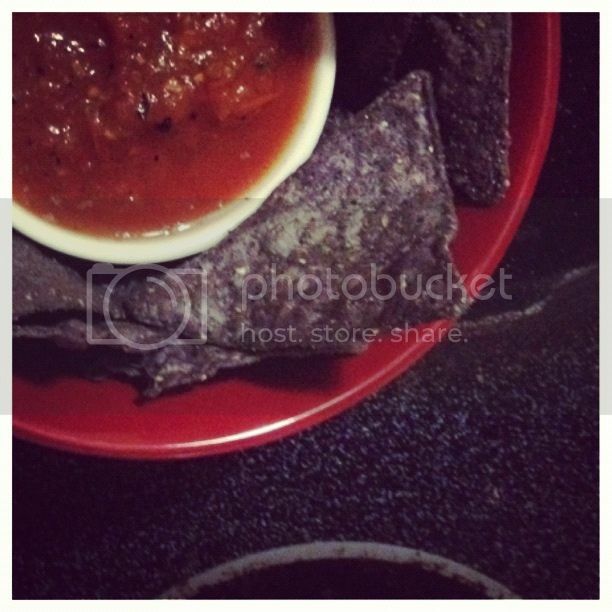 Trader Joe's Organic Blue Corn Tortilla Chips and Garlic Chipotle Salsa.